WOW!! Wait until you see this newly remodeled 3 bedroom, 1 full/2 half bath home in Smoketree South! It is completely MAINTENANCE-FREE and MOVE-IN READY! NEWER roof (2014), newer double french doors leading to a beautiful back deck and a fenced-in backyard, NEW vinyl siding with NEW weather-proofing on all exterior wood, window sills, and frames and a NEW HVAC SYSTEM. Irrigation system in front and side yards, NEW porch pillars and galvanized railings, NEW gutters with foam guard inserts, NEW storm door, and a double-driveway! The kitchen was completely REMODELED to include NEW easy-close cabinets, backsplash, granite countertops, deep country stainless sink, and all stainless steel appliances! There is recessed lighting throughout the downstairs -- BEAUTIFUL. This one really wont last!!! Directions:From Lucks Lane turn left onto S Smoketree Pkwy. Turn left onto Lockett Ridge Ave. Turn left onto Lockett Ridge Rd. House on right. SchoolsClick map icons below to view information for schools near 1315 Lockett Ridge Rd Chesterfield, VA 23114. Listing provided courtesy of Classic Realty Group Llc. Home for sale at 1315 Lockett Ridge Rd Chesterfield, VA 23114. Description: The home at 1315 Lockett Ridge Rd Chesterfield, VA 23114 with the MLS Number 1903983 is currently listed at $217,500 and has been on the Chesterfield market for 75 days. 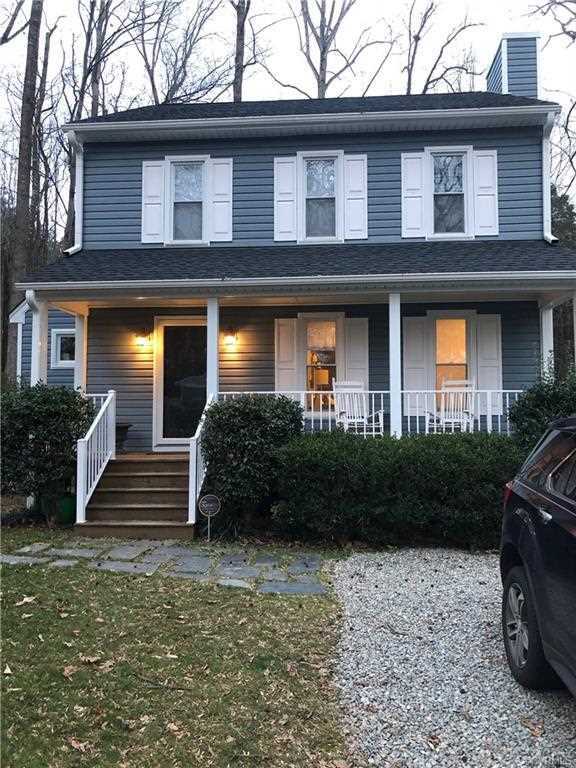 You are viewing the MLS property details of the home for sale at 1315 Lockett Ridge Rd Chesterfield, VA 23114, which is located in the Smoketree South subdivision, includes 3 bedrooms and 3 bathrooms, and has approximately 1322 sq.ft. of living area.